Calgary, AB – November 8, 2018. Employees at Vision Loss Rehabilitation Alberta have recently joined UFCW Local 401. After a province-wide organizing effort, an overwhelming majority signed union cards, which resulted in their union being certified by the Alberta Labour Relations Board on November 7, 2018. Employees were motivated to join Local 401 to address issues related to wage disparities and to be heard about the impacts of understaffing on client care. Concerns around fairness, dignity, and respect were also commonly expressed. A division of the Canadian National Institute for the Blind (CNIB), Vision Loss Rehabilitation Alberta is funded by the Government of Alberta and by donors to provide healthcare services and rehabilitation therapy to people with vision loss. UFCW Local Unions represent CNIB employees in Saskatchewan and Manitoba, and Ontario employees also have union representation. 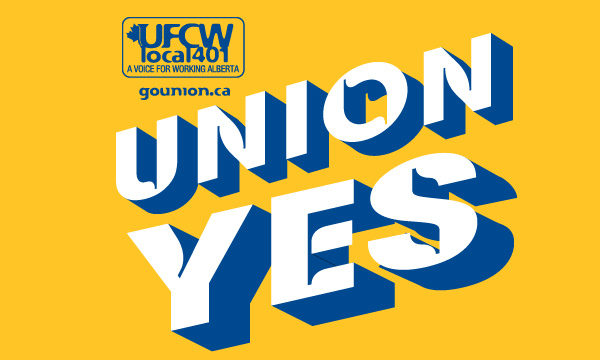 UFCW Local 401 is Alberta’s largest private sector union representing workers across the province in sectors as diverse as food and beverage processing, healthcare, and education.